Our property is more than just a place to stay. It’s a place to escape and indulge in one of California’s finest food and wine destinations. From the moment you arrive to the moment you leave, we’ll do our best to make you feel at home. The main building, a recently remodeled 1901 farmhouse, offers spacious guest rooms in the Signature and Deluxe categories. A separate cottage, our Premiere room, features two-bedroom, two-bathroom accommodations with terraces. All rooms are equipped with stylish Restoration Hardware furnishings and linens. 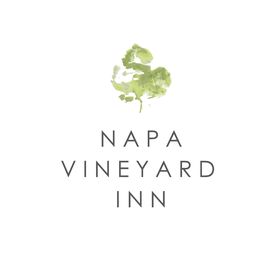 Nestled between two picturesque vineyards, Napa Vineyard Inn is a hidden gem located between Yountville and downtown Napa. Enjoy the gorgeous views from your private terrace or join the Hotel Manager and other guests in the central courtyard. Our one-acre property features serene landscaping including calming lavender, mature walnut trees and a fig tree predating the original farm house built in 1901.